Steel beams welded and bolted to the structural members of a building is one way that eliminate a bunch of columns that could interrupt the expansive space, with its multiple use options commonly found in a custom home. 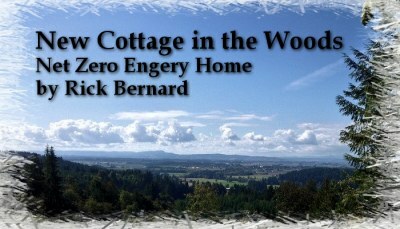 The open floor plans that have become so popular have their challenges. How do we support the loads from above? We are literally missing internal walls, where we normally could pick up above loads. 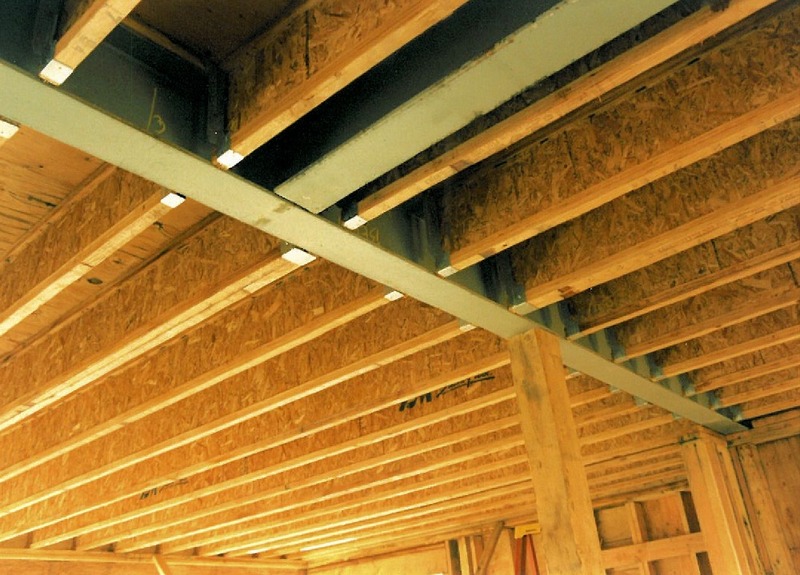 Steel is the easiest, as opposed to a big glue laminated wood beam, which will probably hang down below ceiling level, lowering the ceiling or creating a visual element the customer may not desire in an large open room, a canvas to mold and shape to their desire. This is an expensive solution, but solves a greater problem. 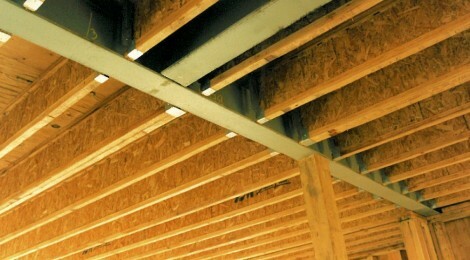 The steel I-beam is hidden within the normal flooring cavity. The steel I-beams are incredibly strong, and can carry the point loads out to where picking them up is almost invisible to the eye within the structure. If you need a wide open space in your next custom home, this secret recipe will make your dream come true.